A workbook for the health service and primary care team on working in teams. It takes team players through the foundation processes involved in starting teams off, working together and getting the best from each other. It is written by authors with experience of facilitation and training in the health care field and is practical and interactive. 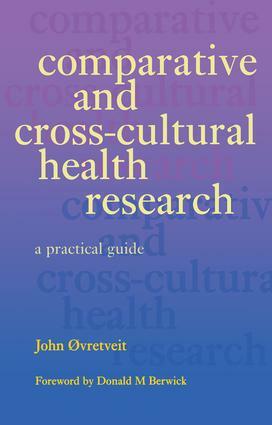 An introduction to comparative health research. Examples of comparative health research. Purposes, perspectives and philosophies. Making true comparisons. Eight designs for comparative health research. Data gathering and analysis methods for comparative research. Practical issues in planning and carrying out comparative health research.